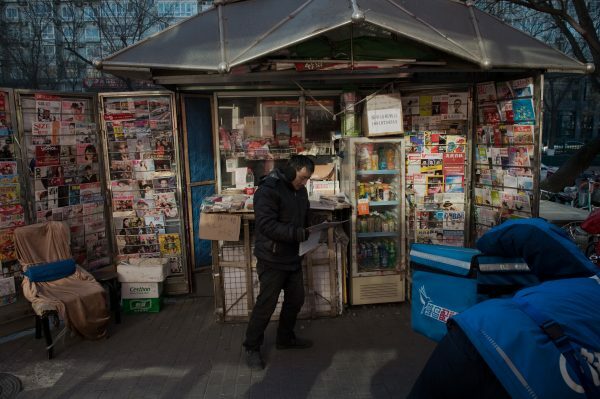 In a totalitarian regime such as that in communist China, a lot can be read between the lines in how state-controlled media report on topics that are deemed sensitive. 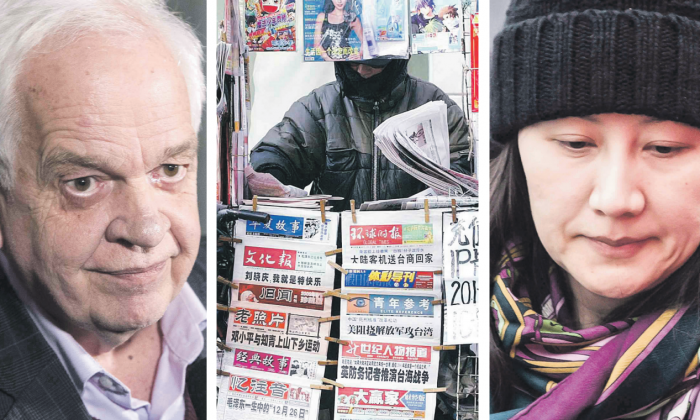 The Epoch Times analyzed reports by media in mainland China on John McCallum, Canada’s former ambassador to China, who was forced to resign after speaking in favour of arrested Huawei CFO Meng Wanzhou not being extradited to the United States. 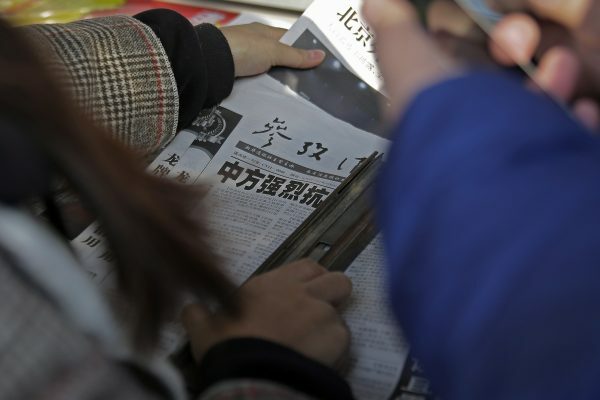 On a regular basis, Chinese media are given direction on how to report on sensitive topics—what to avoid, what to highlight, and how to reflect the party line on issues of importance to the Chinese Communist Party (CCP). China Digital Times, a bilingual Chinese and English website founded by Berkeley research scientist Xiao Qiang, keeps track of some of the leaked directives issued to media. The federal government is currently reviewing the security implications of allowing Huawei to take part in the development of Canada’s emerging 5G network. Most of Canada’s allies in the Five Eyes intelligence alliance have already banned Huawei from their 5G infrastructure due to security concerns, given Huawei’s close links with the Chinese communist regime. Another directive issued to media following Meng’s arrest was to stay away from reporting on her case—save for a few select state media including CCTV, People’s Daily, and Xinhua, which were tasked with producing “authoritative reports” on the topic. The media were also told to avoid reposting articles by these outlets. However, following McCallum’s controversial remarks to a gathering of Chinese media in the Toronto area on Jan. 22—where he listed potential legal arguments Meng could use in her defence and indicated that her extradition wouldn’t be a “happy outcome” for Canada”—the reporting situation in China changed. Notably, although earlier the CCP had prohibited reporting on Meng’s case, a handful of China’s media published reports on McCallum’s comments—which favour Beijing’s position on the issue—and then other Chinese media re-published these articles widely at home and abroad. Many of the reports pushed the line that McCallum’s remarks are proof that the United States and Canada are in the wrong regarding Meng’s case. Following calls by the opposition and others for Prime Minister Justin Trudeau to fire McCallum over his remarks, McCallum issued a statement on Jan. 24 saying he regretted his comments. Shortly after, mainland media came to McCallum’s defence. Reference News ran an article on Jan. 25 headlined, “Was He Forced to Change His Words? Canadian Ambassador to China Said He Withdraws His Comments on the Meng Wanzhou Incident.” The post has since been removed but is available on other websites. “This is how Canada, a country ruled by law, is not supposed to behave. It is politically oriented under the guise of law,” the Global Times article stated. The Global Times expressed a similar view. After Trudeau asked McCallum to resign, which was publicized on Jan. 26, both Global Times and China Daily, another official media of the regime, published editorials the following day criticizing and scolding Ottawa for dismissing McCallum and strongly defending the former ambassador. “Those who have attacked McCallum should feel ashamed of themselves,” said the China Daily editorial. 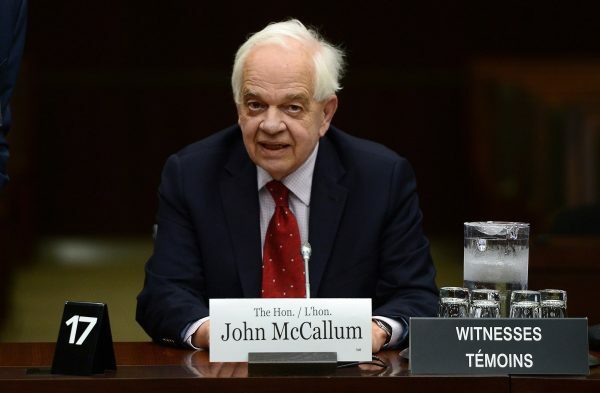 The Global Times editorial said Ottawa is “as sensitive as a frightened bird” over the issue and used a vulgar Chinese saying to show displeasure over how the government reacted to McCallum’s comments. According to He Qinglian, a China scholar who has published extensive studies on China’s media control, the CCP’s two main objectives in controlling the media are to maintain the regime’s power and to serve the regime in its foreign affairs relations.